Tone Your Body with Tai Chi Resistance Training. 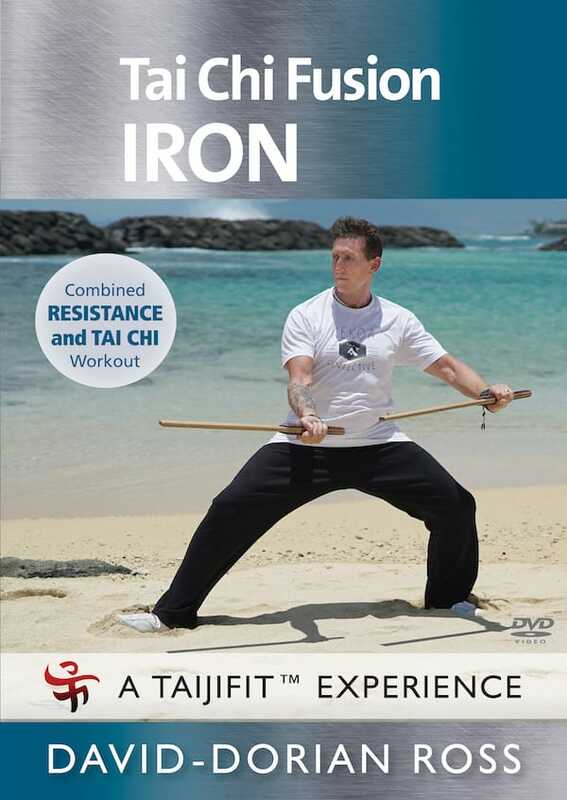 In Tai Chi Fusion IRON, you’ll experience the blending of Tai Chi and resistance training. Master teacher David-Dorian Ross guides you step by step through an easy-to-follow workout on a beautiful Hawaiian beach. You’ll alternate between empty hand movements and using weighted Tai Chi Fit Stix. You can practice along with any short sticks, even wooden spoons from the kitchen! In Tai Chi Fusion IRON, you’ll experience the blending of Tai Chi and resistance training. Master teacher David-Dorian Ross guides you step by step through an easy-to-follow workout on a beautiful Hawaiian beach. You’ll alternate between empty hand movements and using weighted Tai Chi Fit Stix. You can practice along with any short sticks, even wooden spoons from the kitchen!